I stumbled into an open source, online animation tool that is simple to use and pretty nifty way to teach animation to kids. ParaPara is a Japanese animation tool that allows for simple animation (and apparently, there is a way to collaborate with others … looking into that feature …) Mozilla’s Webmaker hosts a tutorial on how to use it, with links to the ParaPara site. Once you make your animation, it kicks out a link and then an embed code, so that you can embed like I did with my Happy Friend animation that I created in just a few minutes. What are you waiting for? Get making! 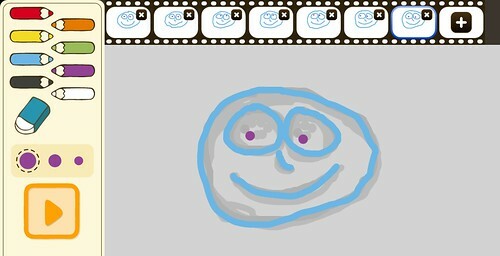 This entry was posted in Adventures in StopMotion Animation, TeachtheWeb. Bookmark the permalink.